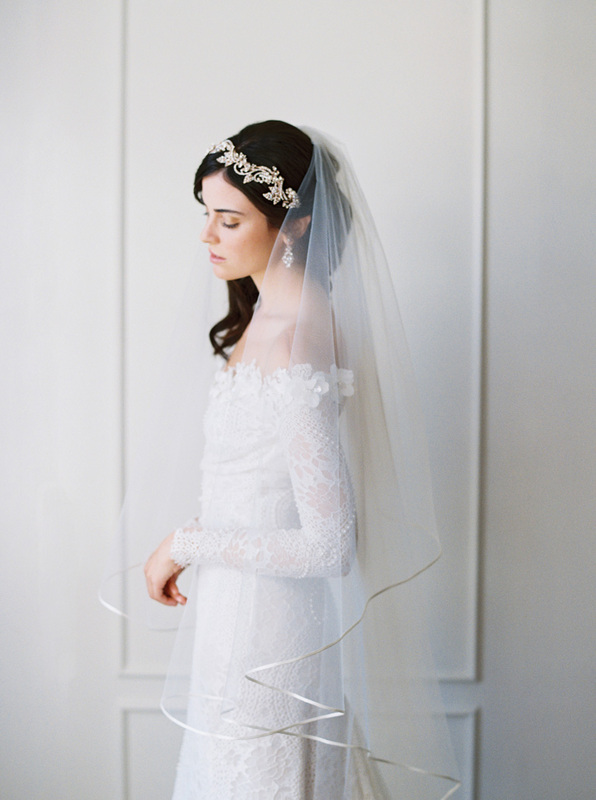 Wondering whether or not you should wear a veil for your wedding day? As it stands now, the veil is a fashion statement. Whether or not you’d like to wear one is entirely personal preference. 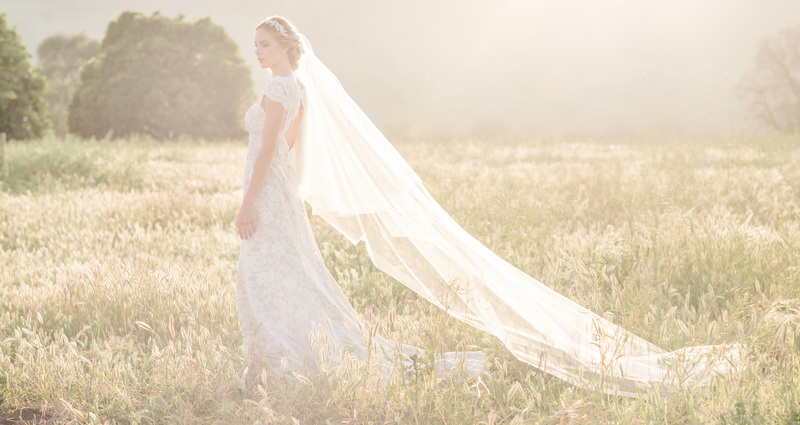 However, people often believe the bridal veil symbolizes something—because throughout the ages, various cultures have attached religious or social meanings to it. We’ll cover the most well-known connotations of wedding veils—from protection against evil to a display of extravagance! 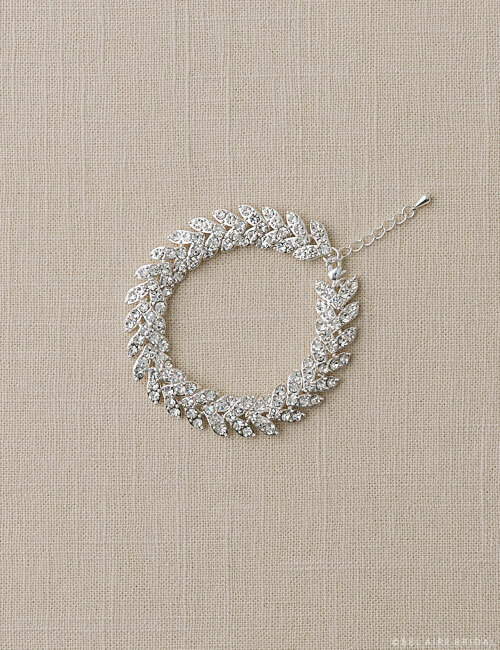 Looking for the perfect bling to wear on the big day? 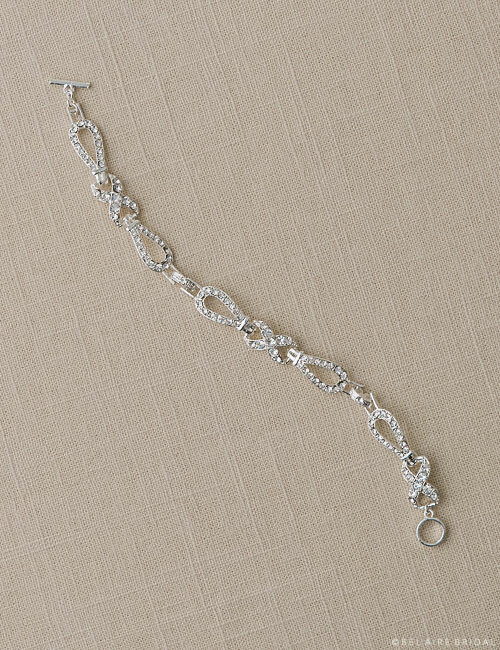 Give your engagement ring good company with beautiful bracelets, earrings, necklaces, or jewelry sets. 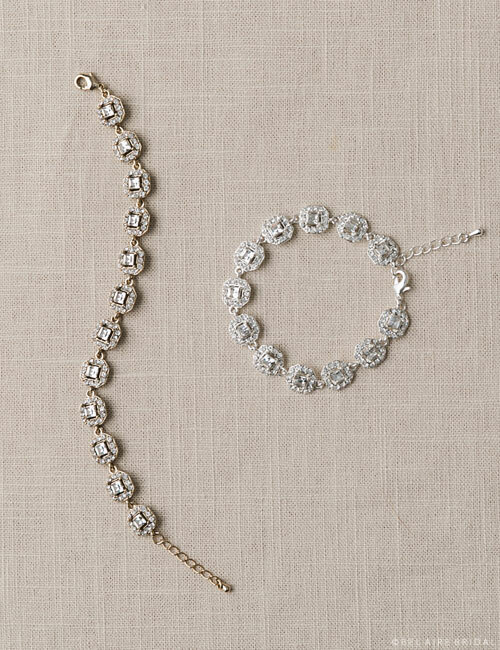 Being a bride is about more than just wearing a white dress—add a special touch of sparkle to your wedding ensemble and you’ll love the results! 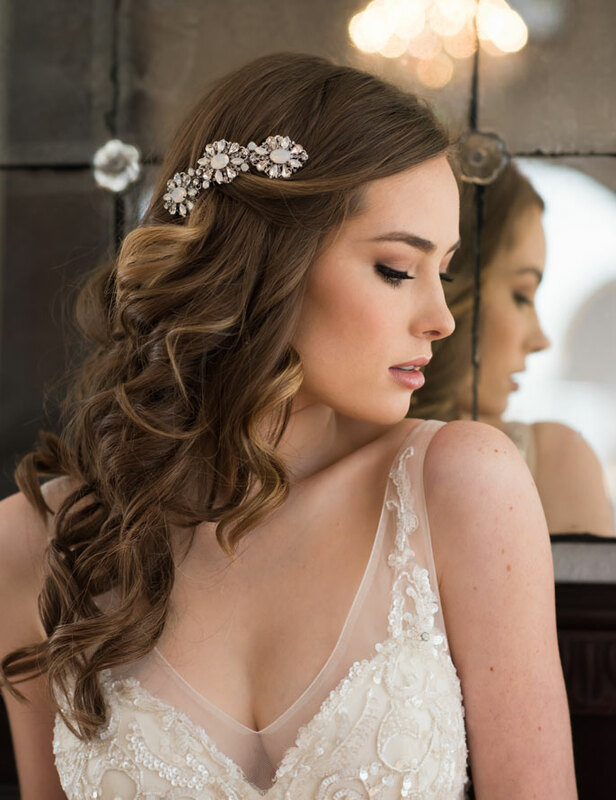 Find romantic, glamorous, trendy, vintage-inspired, boho-chic, or classic accents to gorgeously complement your chosen bridal style. 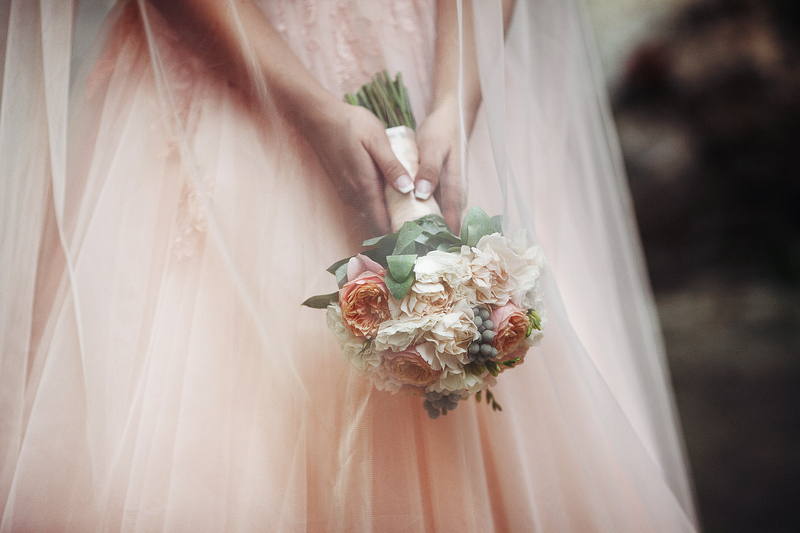 Blush has been the IT color for the past few years, it’s no surprise to see this light, feminine tone featured in a new wave of pretty gowns—especially bridesmaid’s dresses! 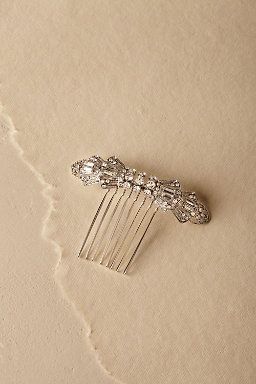 With just one or two accessories, you can style your bridal party to express classic romance, vintage elegance, modern glamour, or dreamy beauty. 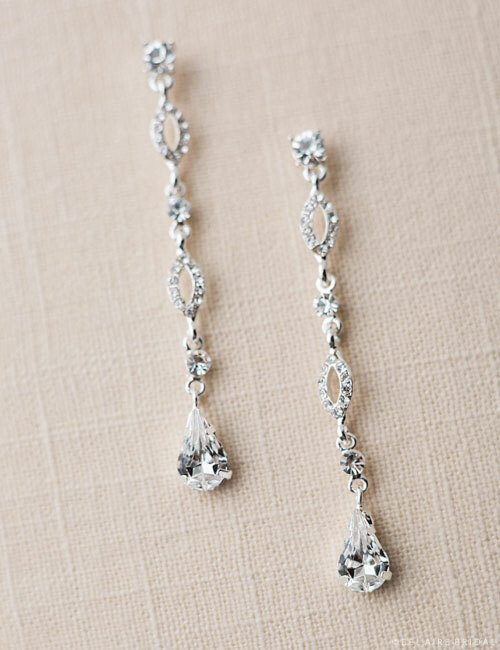 The photos will look amazing, and everyone will feel a little more special on the big day. 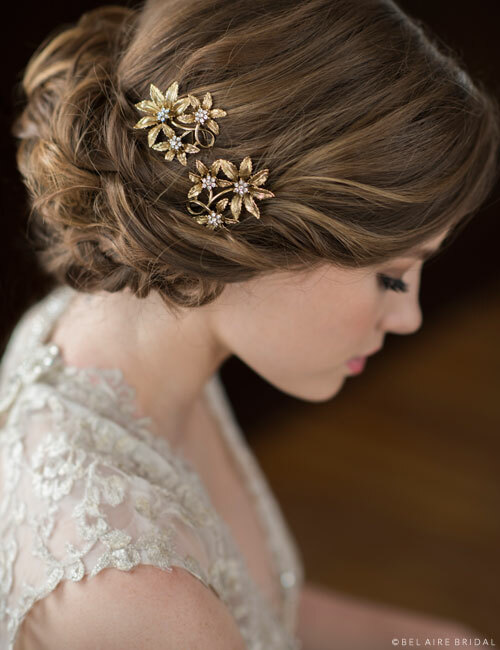 Today, we’re styling a few blush bridesmaid gowns from BHLDN and exploring our favorite headpiece pairings. Have your champagne and chocolate ready? Let’s get started! 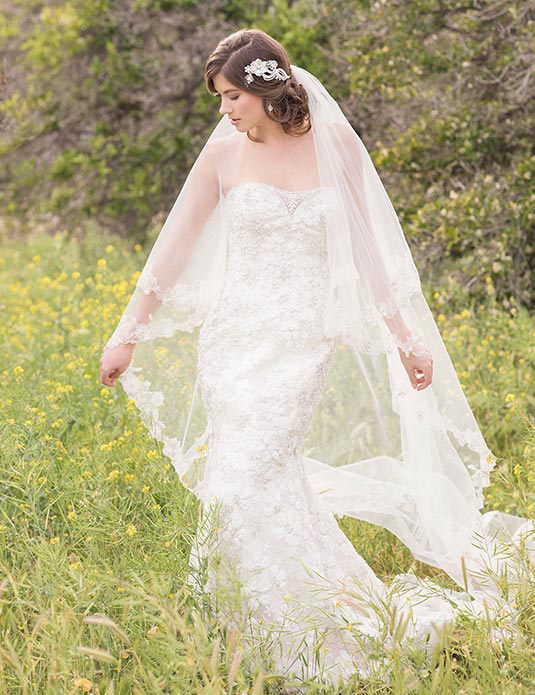 Want to know if a cathedral length veil is a good option (or even an option) for your wedding? 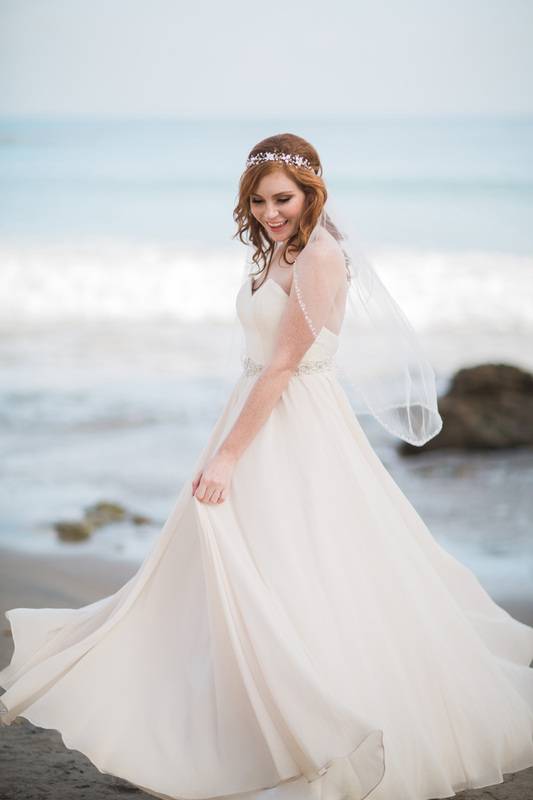 Check out our list and weigh the pros and cons of this particular style, find out why so many brides are choosing it, and decide if it is right for you. 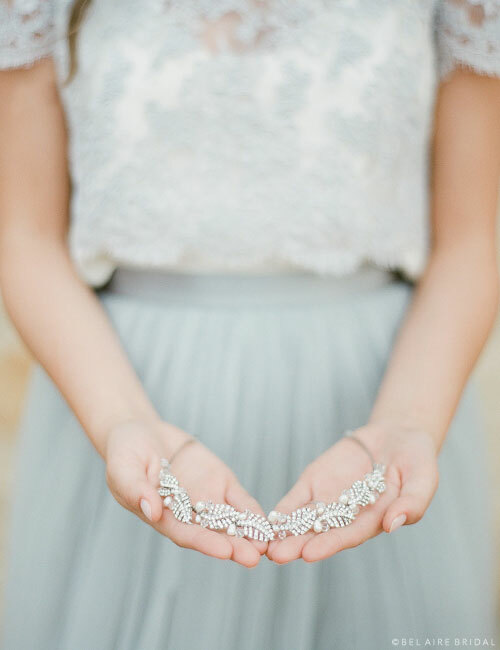 Did you know that in some cultures brides are afraid to wear pearls? 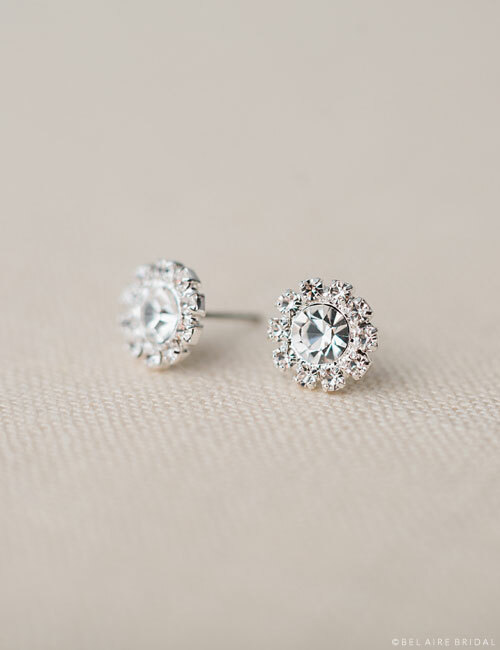 The shape of these beautiful, natural gems is said to represent a tear. 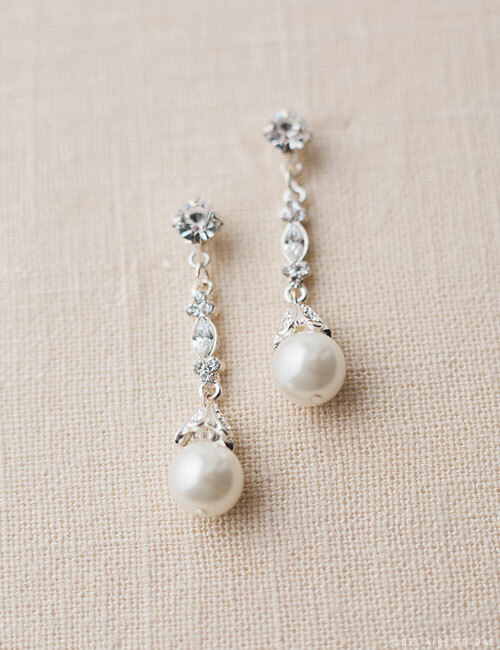 We think pearls must represent tears of joy—pearl accents look especially gorgeous in bridal ensembles! 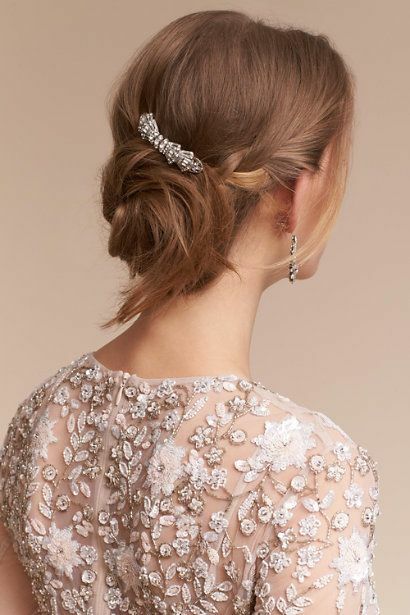 Lace gowns and dresses with embellished backs are particularly stunning with pearls, which give your outfit a delicate, feminine glow. 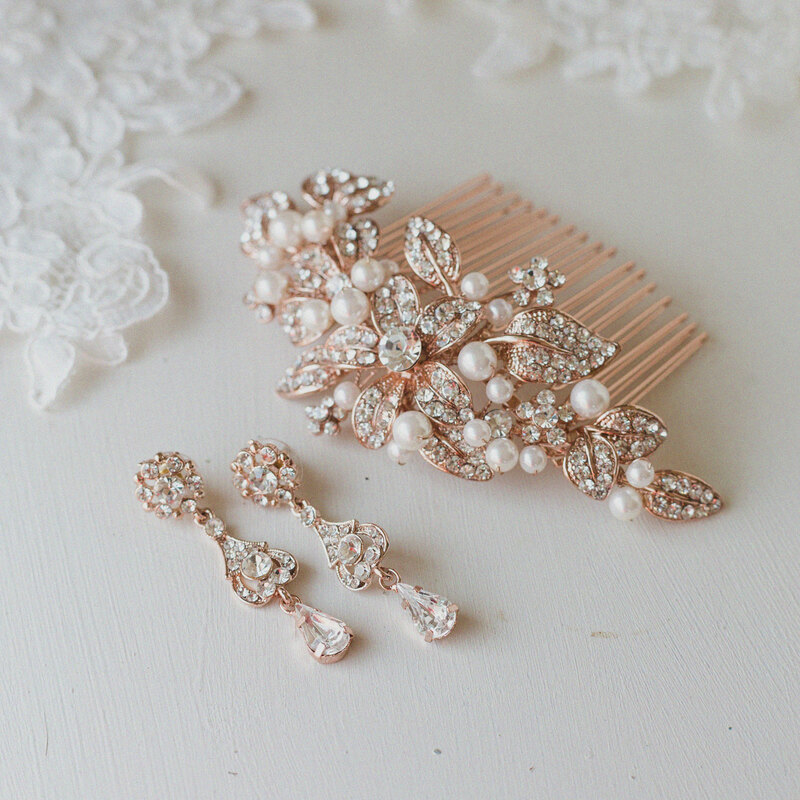 In fact, many gown designers incorporate either real or imitation pearls (made from crystal) into beaded and embroidered dresses. 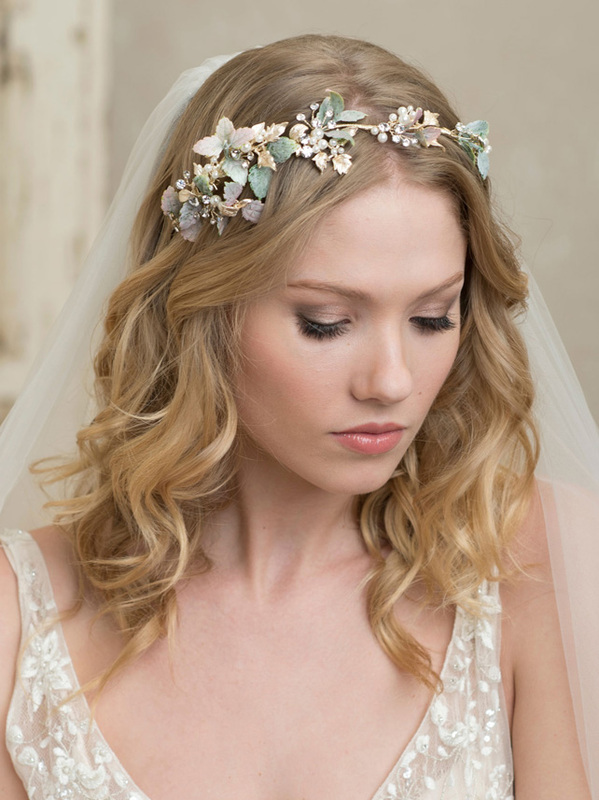 Check out our most popular pearl headpieces, veils, and jewelry to enhance your special day.